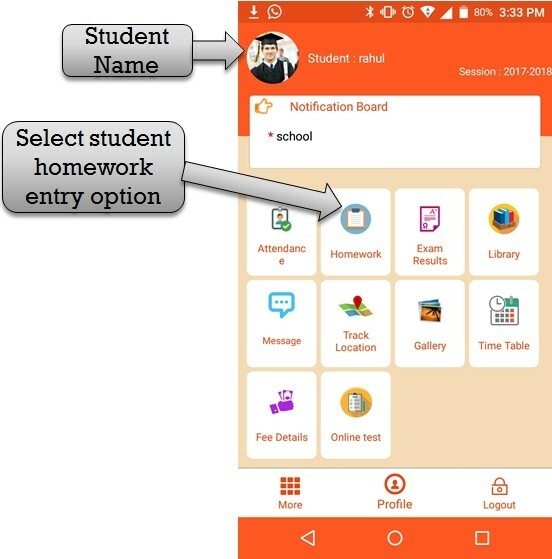 Step:1st -ZeroERP School management App Software- Student check school homework please click homework option then check homework . Step:2nd -ZeroERP School management App Software- Please click homework date(red color) and view student homework status. Step:3rd -ZeroERP School management App Software- Listing all student homework list and display student homework status(complete and incomplete).